Good news for smartphone buyers looking to get a good quality smartphone around the mid-range level. 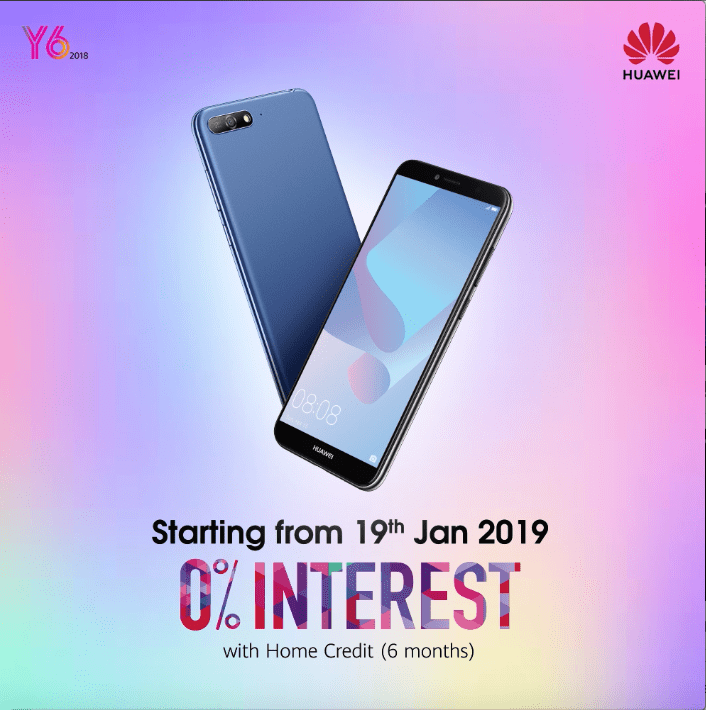 The Huawei Y6 2018 is now available thru Home Credit deals! HUAWEI Y6 2018 delivers a quality mobile entertainment experience by combining its vibrant HD+ HUAWEI FullView Display with stunning audio capabilities. HUAWEI Y6 2018 is equipped with easy unlock, selfie toning flash, EMUI 8.0 as well as long battery life. Combined, the features equip today’s young consumers with all the essentials to experience the best of today’s mobile entertainment on the go. You can now avail your own Huawei Y6 2018 hassle-free via Home Credit! Drop by the nearest Huawei Concept Store to learn more.